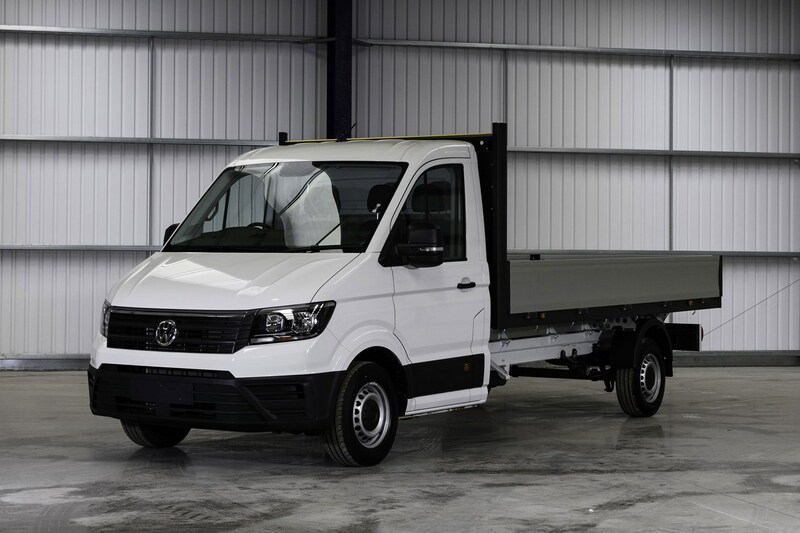 Volkswagen Commercial Vehicles has launched a new Engineered To Go van conversion programme, offering a selection of popular conversions ‘off-the-shelf’ to make the order process even more straightforward. The initial range of VW Engineered To Go conversions are all based on the latest Volkswagen Crafter large van, and include Dropside, Tipper and Luton variants – all available to buy direct from the standard pricelist. What is VW Engineered To Go? VW has already invested in a cleverly thought-out van conversion procedure that allows customers to order specialised vehicles direct from its dealers. The difference with the Engineered To Go programme is that the conversions are pre-specified, giving them a fixed price, which in turn means they appear on the regular VW pricelist. 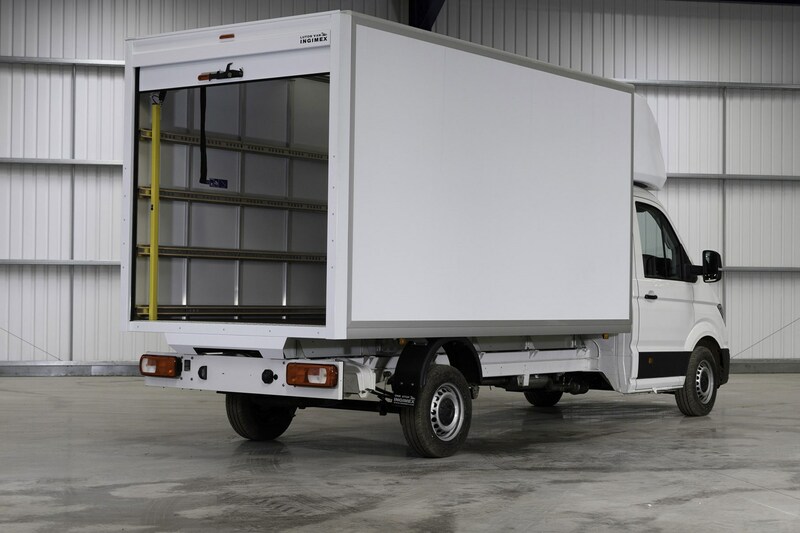 So, instead of ordering a van and then adding the conversion, you simply order a converted van – which means you get single invoice and a warranty where the vehicle/conversion are exactly matched up. The Engineered To Go vans can still be further customised, however, if required. Just like any other VW van on the pricelist. What VW Engineered To Go Conversions are available? 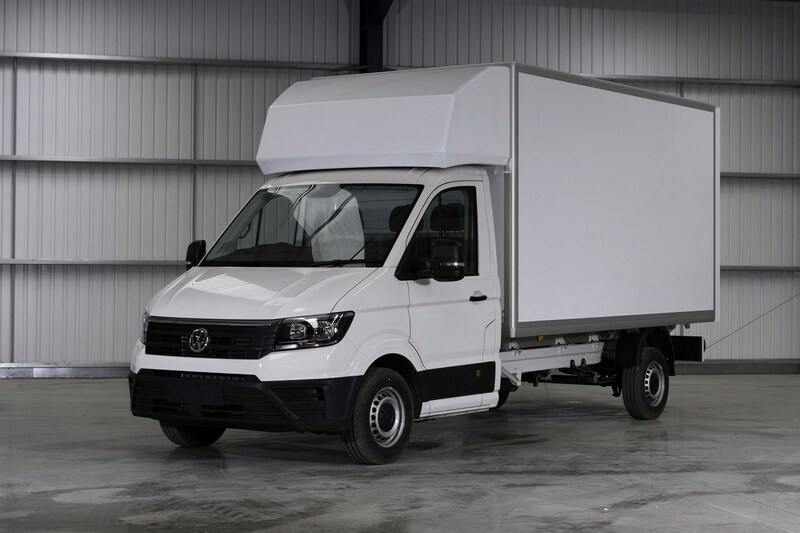 The new programme launches with conversions based on the Crafter, though in time VW promises there will be Engineered To Go versions of the Caddy and Transporter as well. Beyond the initial range of Engineered To Go conversions types on offer, VW also says fridge/freezers, minibuses and a service workshop will be made available in the future. All of the following Crafter conversions are built be Ingimex. 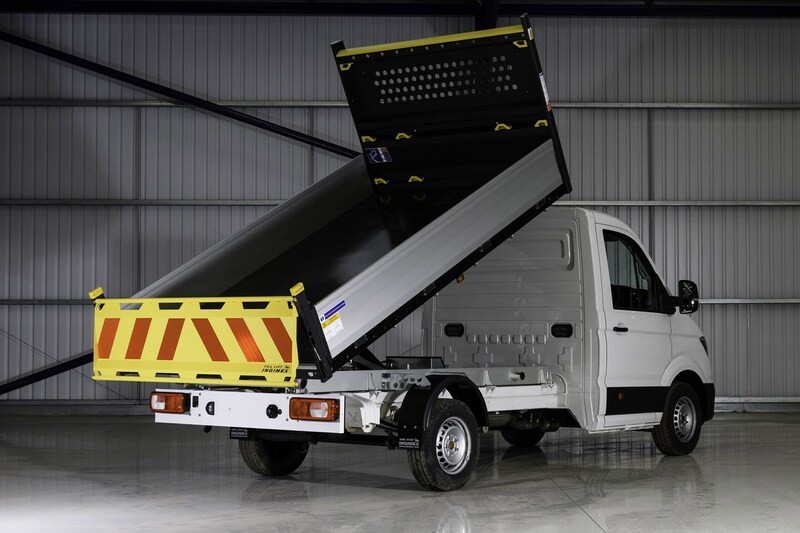 This VW Crafter Dropside is available as a single cab of a double cab, and is pre-modified for the addition of fall-arrest rails or tail lifts, if required. Prices start from £31,470 (excluding VAT). 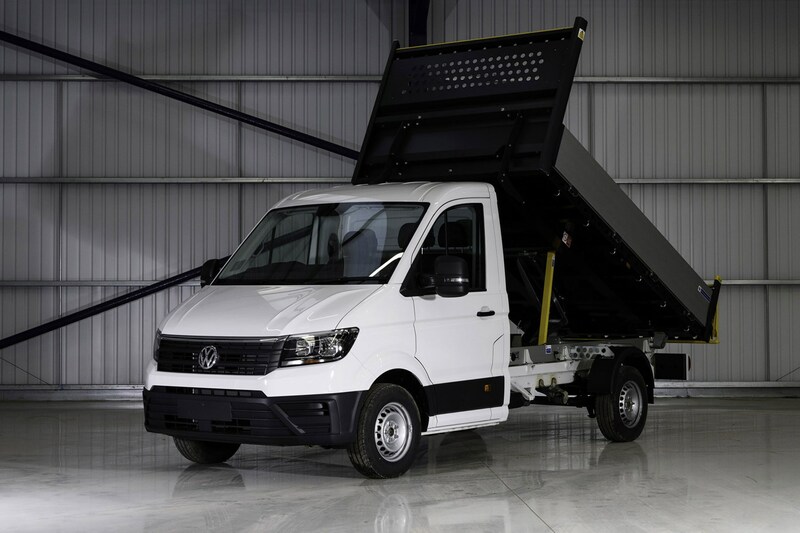 This VW Crafter Tipper is also available a single or double cab model, and includes a wander lead for safe operation of the tipper unit. VW describes it as ‘tough, safe and versatile’. Prices start from £33,310 (ex VAT). 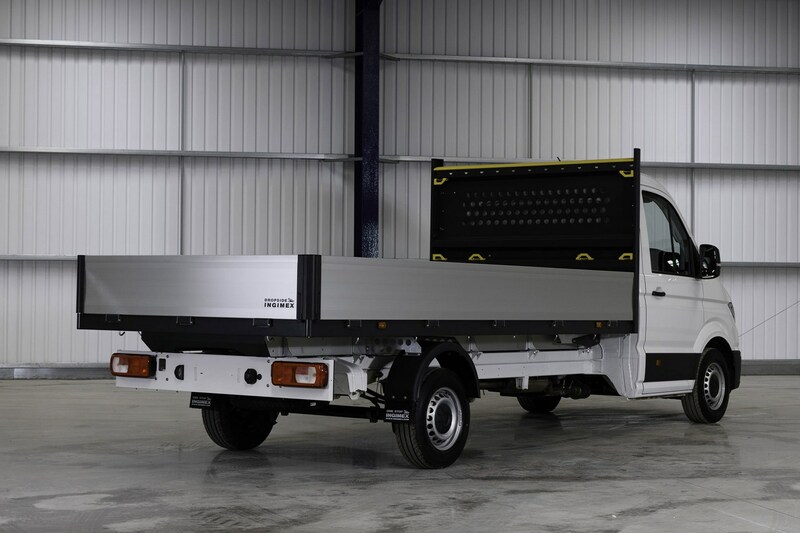 This VW Crafter Luton comes as a single cab only, and includes what’s described as a ‘unique’ four-tier load restraint system, which is compatible with deck lashing, standard load lock lashing and an optional Ingimex ‘telescopic load pole’. The Crafter Luton is priced from £36,220 (ex VAT). What does VW have to say about the new Engineered To Go conversions? Specialist sales manager Nick Axtell commented on the news, saying: ‘We are delighted to be able to announce the details of the new Engineered To Go programme which extends the number of conversions on offer to our customers.